Q: I've forgotten my password and I can't login? Once you are in we would recommend that you update this temporary password from us, to one of your own choice. To update your password please see this guide. 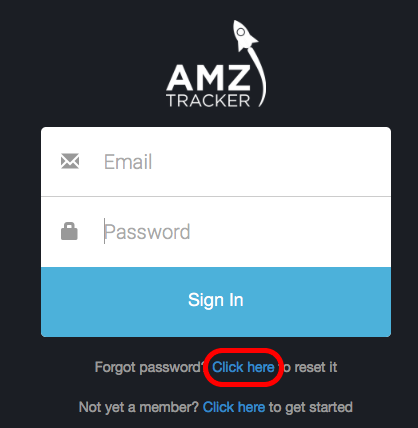 A: You can update your password or email any time from inside your AMZ Tracker Account. Click on 'Account Settings' from the left side menu. If necessary update the 'Email' address. A: In order to re-start the account you'll need to log in and update your details. 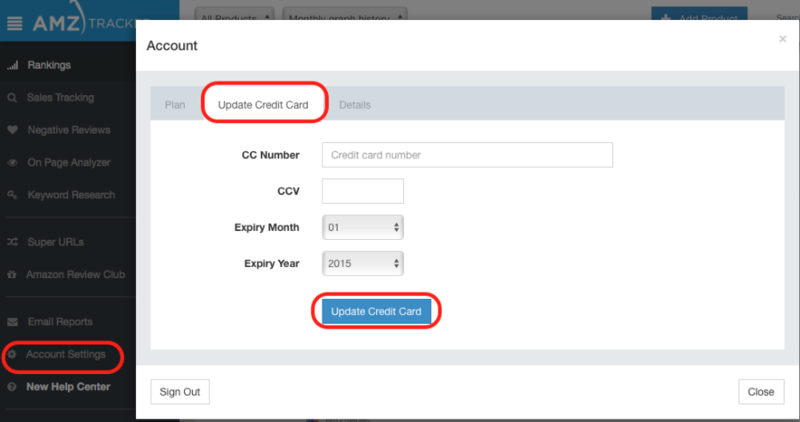 Click on 'Update Credit Card' and add your details. Return to the 1st tab 'Plan'. Choose a plan you want and click the 'Change Plan' button.